About 30 masters and doctoral students and supervisors from the College of Health Sciences attended an Early Bird Proposal Development workshop hosted by the School of Nursing and Public Health. The week-long forum aimed to enhance the students’ knowledge of various research methods in preparation for their research protocol write up. ‘The goal was to assist students who want to start their research proposal early in the year, particularly MMedSci candidates hoping to complete their degree in a year,’ said workshop organiser, Dr Themba Ginidza. The workshop was organised to help students in low-income brackets who struggle to complete a research masters or PhD in the minimum completion time because they cannot afford the fees. It is hoped the knowledge and skills gained from the workshop will help improve the quality of masters and PhD dissertations produced by the students thus improving their degree completion time. The workshop was run by eight academics from different disciplines within the School of Nursing and Public Health, Rural Health Medicine, Occupational and Environmental Health, and Public Health Medicine. It included an introduction to public health; an overview of the proposal; an outline of the proposal-lecture; an outline of the proposal-individual work; problem analysis; conceptual framework and ethics; qualitative research; qualitative research tools; qualitative data analysis research; proposal background and literature review; background on quantitative research methodology; sample size calculation; quantitative analysis; quantitative data collection tools; data collection; formatting and referencing, and project planning and development. The workshop was well received by the students who all agreed they had learned a lot. 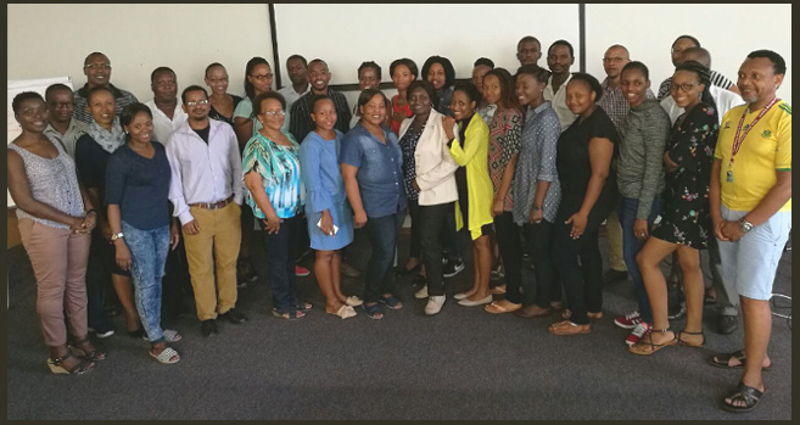 ‘I would like to thank Dr Themba Ginindza for organising this valuable workshop for our School,’ said the Academic Leader Research for the School of Nursing and Public Health, Dr Tivani Mashamba-Thompson.